Ms Cecilia Oduro, Executive Director of Life Relief Foundation, an NGO, said the desire of Ghana for an HIV and AIDS free generation and meeting the 90 90 90 target required uninterrupted supply of Anti-Retroviral Therapy (ATRs) and HIV commodities. She said the introduction of ARTs has substantially improved the survival of persons infected with HIV and Aids. “The key factor in the effectiveness of ARTs is the continuous supply and constant adherence to ATRs medications. Ms Oduro said this at an HIV and AIDS stakeholders review meeting jointly organised by the Sekondi Takoradi Metropolitan Assembly and Life Relief Foundation to report on visits the Foundation undertook in the regional medical store and ARTs sites in the Metropolis. The Executive Director of Life Relief Foundation pointed out that the adherence to ATRs medications improved upon the quality and life expectancy of people living with HIV and has significantly reduced morbidity and mortality among them. She said it was also important to train more medical officers to support ARTs services and clinical care as well as strengthen pharmacy personnel to be part of the Anti-Retroviral Drug procurement as well as extend ARTs sites to CHPs compounds to make it easier for people to access HIV commodities. For his part, the Metro Director of Health Services, Dr Samuel Aidoo hinted that more children born to HIV positive mothers in the metropolis were testing negative for HIV and attributed the success story to the early supply of ARTs to HIV positive expectant mothers. He said the high proportion of clients put on Anti-Retroviral Drugs was resulting in viral depression, adding “we no longer see AIDS patients these days thanks to the use of ARVs”. He said there was a significant decrease in opportunistic infection cases in the metropolis and called for engagement and discussions with stakeholders on HIV and AIDS management, stigma and discrimination reduction. Dr Aidoo stressed the need to strengthen the referral system in the metropolis and called for frequent refresher training among health workers on stigma and discrimination reduction. He said it was also important for all to see HIV and AIDS prevention as a collective responsibility. Dr Aidoo expressed concern about the fact that new HIV and AIDS infection cases were becoming high among the 15-24 years old group and stressed the need for the revival of HIV and AIDS alert clubs in basic schools through to tertiary institutions this he noted would catch them young. He said stigmatization and discrimination against HIV and AIDS patients still remained a major challenge in the Metropolis and asked that all hands must be on dock to address the situation. Dr Aidoo said his outfit would collaborate with the relevant stakeholders to intensify the education on the disease since the campaign on it has drastically gone down. Mr Anthonio Francis the Regional Monitoring and Education officer of the Ghana AIDS Commission said plans were advanced to integrate HIV activities into local festivals to enable the commission reach out to many people especially the youth. He said inadequate funds has been a major challenge with the Commission and hinted that the government was working hard to get sustainable funding for the Commission to undertake its activities. Mr Anthonio said by October, this year the STMA reconstituted HIV and AIDS committee would be inaugurated to enable it execute its mandate. 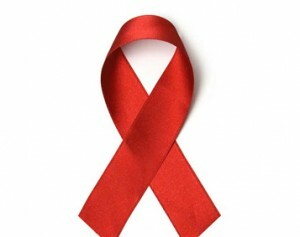 Life Relief Foundation is an NGO working to ensure the availability of HIV and AIDS commodities in the western region.